Every month, you pay a premium for dental insurance, but are you really getting the most from your investment? Studies show that only 2% of dental insured Americans will maximize their coverage by the end of the year. That amounts to leaving benefits on the table. The irony, though, is that many people avoid preventive care appointments because they feel they will be a waste of money. 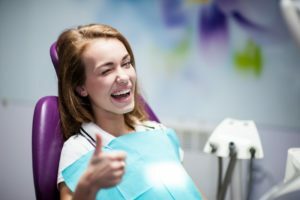 The reality, though, is that because these visits are typically fully covered by dental insurance companies, they offer the best savings and method of getting the most from your dental benefits. Not only does visiting your dentist every six months for maintenance offer cost-savings, but it also helps to prevent the need for expensive and complex dental procedures down the road. At these appointments, you’ll receive a thorough cleaning and examination, which means any built-up plaque and tartar will be removed. Furthermore, the professional can spot any developing issues so they can be addressed early. Therefore, you’re less likely to have to endure painful toothaches and failed restorations, which are usually the result of dental negligence. While visiting your dentist is of paramount importance, it’s also a good time to commit to performing excellent oral hygiene. That means you should be brushing and flossing your teeth at least two times a day to remove harmful bacteria and leftover food particles that can contribute to tooth decay if not addressed. Used in concert with the care of your local dentist, this will help to forge a new path in your quest for excellent dental health. So to ensure that your mouth, teeth and gums remain healthy and functional in the new year, reach out to schedule a preventive care visit! Dr. Jayme Martinez earned his dental degree from Baylor College of Dentistry, and he has received certification in nitrous oxide and Level 1 Sedation, which allows him to provide pain-free and relaxed care to his patients. To keep his skills sharp and to remain abreast of the latest techniques in dentistry, Dr. Martinez also takes continuing education courses throughout the year. He provides preventive care for the entire family at Kessler Park Dental, and he can be reached for more information through his website.